‘Young and the Restless’ Spoilers: Cane Ashby Does Damage Control – But Is It Too Late? 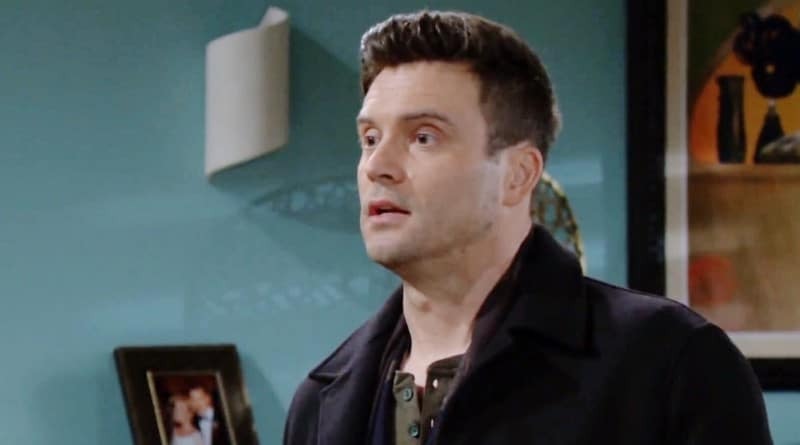 Young and the Restless spoilers reveal Cane Ashby (Daniel Goddard) tries to make things right with some damage control but this may be too far gone. As viewers know, Cane’s marriage to Lily Winters (Christel Khalil) is rocky at the moment. After the secret came out of him kissing Victoria Newman (Amelia Heinle) while his wife was behind bars, can Cane Ashby save their marriage? Young and the Restless Spoilers: Can Cane Ashby Make Amends? Cane needs to make amends with his wife Lily on Y&R, and fast. He finds this won’t be as easy as he hopes. After all, Lily is still in prison. It will be hard for him to work things out with his wife when he can only see her for a limited time. As viewers know, Lily found out about Cane and Victoria’s very short-lived tryst from Billy Abbott (Jason Thompson). He walked in on the duo making out on the couch and furiously wanted revenge. Billy couldn’t believe that Victoria would do this, and wanted to make Cane pay. According to Young and the Restless spoilers, Cane Ashby soon tries to make things right. He loves his wife and knows what he did is wrong. However, will he be able to make things better? 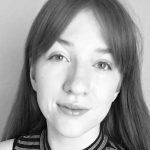 Lily changed so much in prison that she may not even listen to him at all! Y&R Spoilers: Nothing More for Cane and Victoria? As Cane works to make things right in his marriage, his little dalliance with Victoria is clearly over on Young and the Restless. At least for the time being. Of course, it could always come back and respark, especially as the duo works through their personal issues. However, it looks like nothing more between the two former enemies for now. After Billy revealed everything to Lily, Vikki and Cane sat down and came to terms with each other. They agree they used each other to escape stress for a moment. Then, they agreed to stay away from each other. This plan will probably work – if they stick to it. Victoria is preparing to make her own amends with Billy. So, avoiding Cane is the smart thing. Plus, he seems serious about making things right with his wife. The first step of this is to forget he ever put his lips on Vikki! #YR Victoria and Cane kiss. While Lily knows the truth about Cane kissing her pal, things could get worse for him on Y&R. He devastated Lily, but word spreading could hurt others, too. Most likely to spill for her own reasons is Phyllis Abbott (Gina Tognoni). Lately, she can’t stop herself from telling Vikki’s secrets. So, although Billy asked Phyllis to keep quiet, she might not. Previous Young and the Restless spoilers say Cane Ashby has an uphill battle as he tries to do get things back under control. In fact, it looks like his whole family turns against him as they learn he betrayed Lily while she was stuck in prison. Will he be able to make things right? See what’s next on Y&R weekdays on CBS. As always, you can return to Soap Dirt daily for all the latest Young and the Restless spoilers and more. 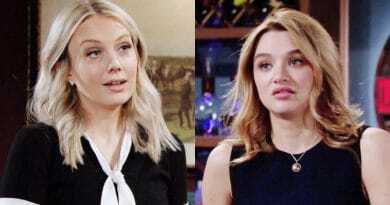 ‘Young and the Restless’ Spoilers: Summer Leaves GC – Hunter King Done For Good? ‘Young and the Restless’ Spoilers: Cane Ashby Gets Drunk – Finds Comfort With Unlikely Lady?